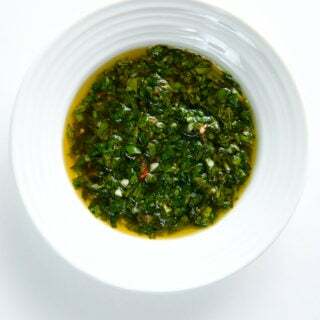 Chimichurri is one of those wonderfully herby salsas you make when the weather is warm and the grill is hot. Of Argentine origin, chimichurri is the quintessential sauce for grilled meats, in this case venison. 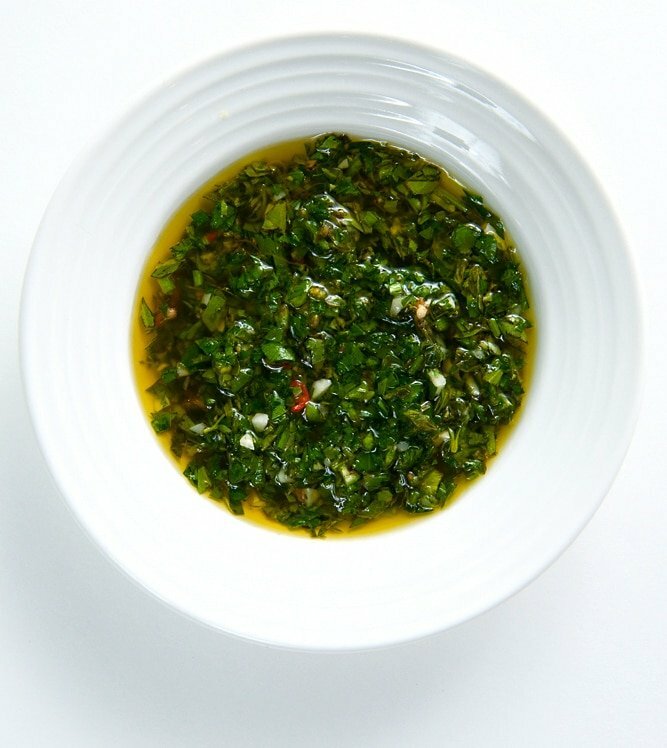 Chimichurri is primarily a mixture of parsley and mint, garlic, salt, oil and either a little vinegar or citrus. Some people add a bit of chile, and I am one of those people. But you mostly want to taste herbs and garlic. Any mint will do, but I have a thing for wild mints. I seek them out wherever they are, which, in North America, is pretty much everywhere. Over the years I have become a connoisseur, tasting and savoring these little plants like fine wine. Mountain pennyroyal has become my favorite of them all. Monardellas like dry places. True mints prefer wet places. They’re short, not much more than a foot tall or so. The base of the stems can get woody, which makes sense since these plants are perennial. They tend to have narrow, lance-shaped leaves that are fairy thick. Their flower heads are squat and round. If you’ve ever grown bee balm in your garden, they look very similar, although monardella flowers range from white to lavender. We have another pennyroyal close to home here in Sacramento, Monardella villosa, the coyote mint. It grows in large swaths around the American River Parkway, among other places. I’m a big fan of that one, too. 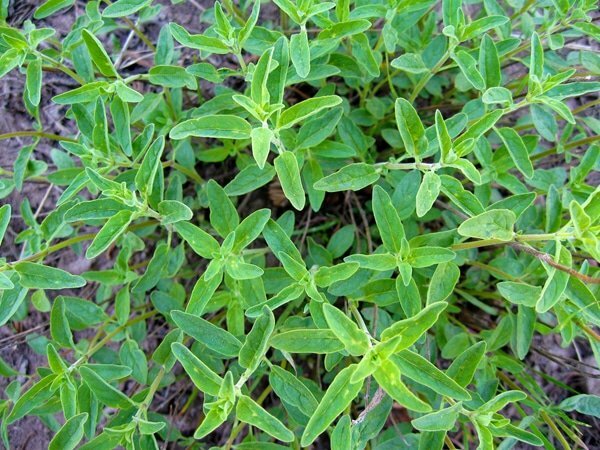 In case you are wondering, no, this pennyroyal is not related to the European pennyroyal, which has been used as a traditional medicine to promote abortions, and which was featured prominently in a song by Nirvana. That pennyroyal is actually a true mint, Mentha pulegium. But don’t get hung up on finding wild mints for making real-deal Argentine chimichurri. As I said, any mint will do. Ideally you would chop and then pound everything together in a mortar and pestle — this brings out the aromas and flavors better than any other method. But it’s far easier to make chimichurri in a food processor. Don’t use a blender unless you want to use your chimichurri as a marinade for meat or fish (it is exceptionally good for that, by the way) because you want some texture in this sauce. This recipe is really all about the sauce, so the fact that I use venison here is incidental. Beef would be traditional in Argentina, where chimichurri comes from, but lamb, goat or even pork would be fine, too. I use wild mint, but you can use whatever mint you want. You can also play with proportions, too. Hate mint? Use oregano. Use fresh herbs when you can, but when you can't find them, dried parsley, chiles and mint work fine. Food processor method: Put the garlic, herbs, chile, lime juice and a little salt in the bowl of a food processor. Buzz to combine, but do not puree. With the motor running, drizzle in the olive oil. Add more salt and black pepper to taste. Let steep for an hour or so before serving. Traditional method: Mince the garlic, chile and herbs by hand and pound a little in a mortar and pestle. Add the lime juice, salt and pepper and then mix in the olive oil slowly by hand, stirring all the while. Let steep for an hour or so before serving. For the venison: Take the meat out and let it come to room temperature. Pat it dry with a paper towel, then coat with the vegetable oil. Salt it well. If you are grilling, get your grill hot and clean the grates. If you are planning on pan-roasting, preheat your oven to 400 degrees Fahrenheit and get a large saute pan hot on your hottest burner. Grill the venison, turning occasionally until it is medium-rare, or however you like it; this should take about 10-15 minutes. If you are pan-roasting, brown the outside of the venison backstrap in the saute pan, then put the whole pan into the oven. Roast for about 8 minutes for rare. Use the finger test for doneness as your guide. Let the venison rest on a cutting board. Right before you slice and serve it, Pour any accumulated juices into the chimichurri. Pour the chimichurri over the sliced venison and serve at once. 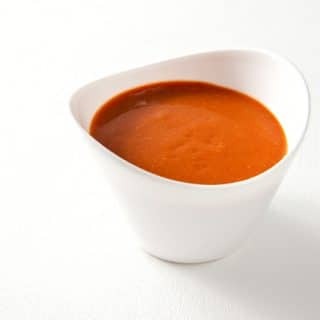 You can find all sorts of sauces for wild game and fish right here on Hunter Angler Gardener Cook! I’ve replaced my usual chimichurri recipe with Hank’s version – great balance. In the summer, this graces grilled salmon and venison alike on a weekly basis.